The power of both the written and the spoken word continues to surprise me – the impact your words can have on others is incredible. It’s a concept that was introduced to me some years ago by a sales trainer of mine – and the fact is, the way you say or write something can have a massive impact on the overall outcome. Those of you who are into Neuro Linguistic Programming, will know what I am talking about. Get it right and you could come across as charming, convincing, helpful and knowledgeable. Get it wrong and the person on the other end might perceive your words as an outburst or a tirade, arrogant, offensive and rude. And what’s even more interesting is that the difference between these two polar opposites might not actually be that great. The insertion of a “please” in the correct place, or asking a question instead of making a statement, could make all the difference. Which leads me on to the subject of translating sales and marketing material. As with all areas of translation, it is important that the translator has a solid knowledge of the subject matter, understands the specific terms, and has the linguistic ability to translate correctly from one language to another. But even more importantly than in some other areas of translation, the translator must understand the concepts and techniques of copywriting, and be able to craft an appropriate text – a top-notch translator might even make the translation sound better than the original. 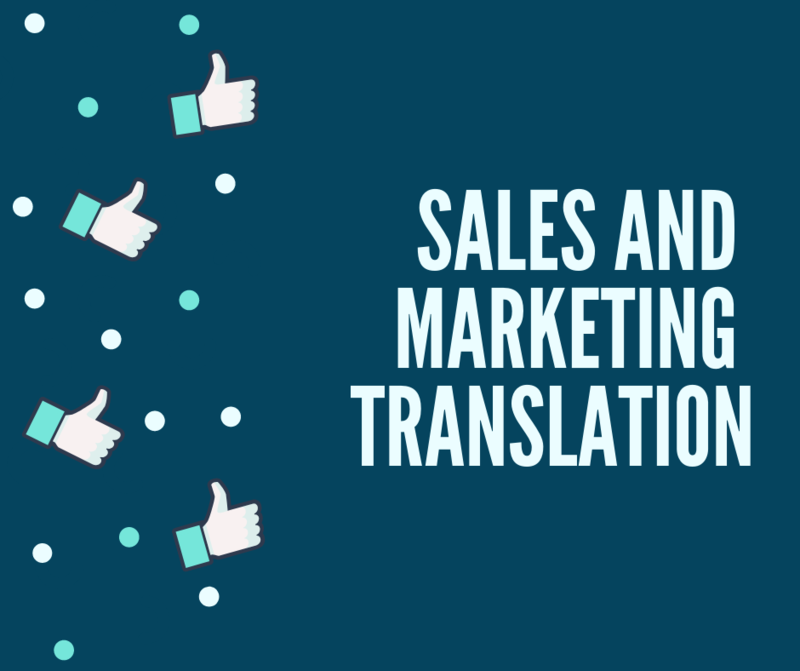 But why is it so important when it comes to sales and marketing translation? Well, because we are trying to convey a message that guides potential clients in the right direction, helps them make the right decision for themselves or their business, and one that is usually going to involve some sort of purchase at the end of the road. And when it comes to money, people don’t like to be pushed – perhaps guided or gently directed, but not pushed. I’m sure you’re as tired as I am when it comes to pushy salespeople. They phone me up from time to time and offer me something I don’t want or need, something I have never expressed an interest in. When I tell them I’m not interested (on a bad day, I just hang up! ), they seem surprised or perhaps even astonished. So, if sales and marketing translations are required, just as the original text is, to get across the message clearly and concisely, in a kind yet convincing manner, then translators need the skills to do this in the right way. A guiding light, perhaps, and not a bludgeoning hammer. And what about the value of those words? If a great text can help bring one more client, 10 more clients, or perhaps even 100 more clients on board compared to an average text, how much is that worth to you and your business? So, next time you need a sales and marketing translation, why not get in touch?